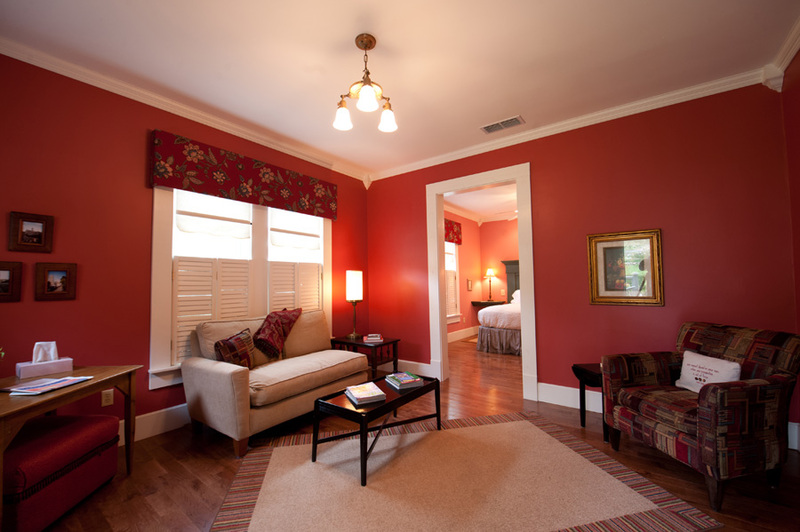 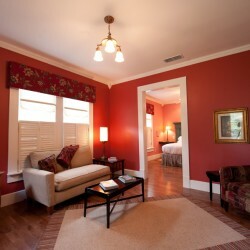 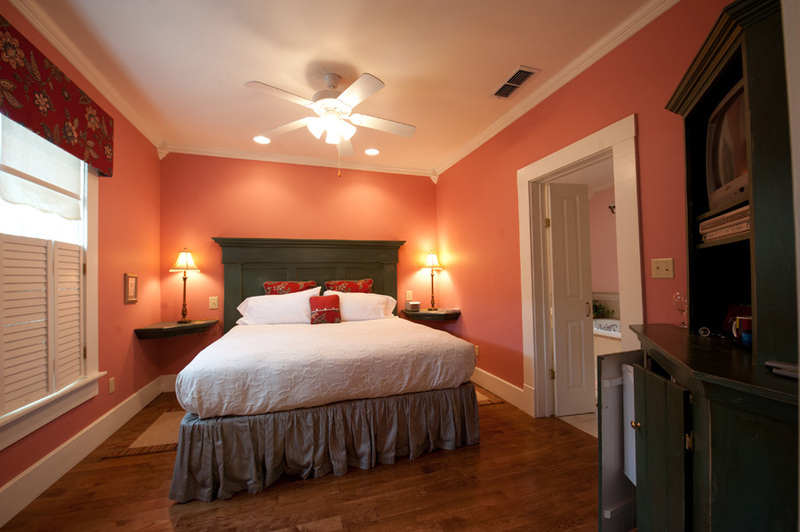 Decorated in the warm reds and pinks of Tuscany, this spacious suite is the perfect retreat. 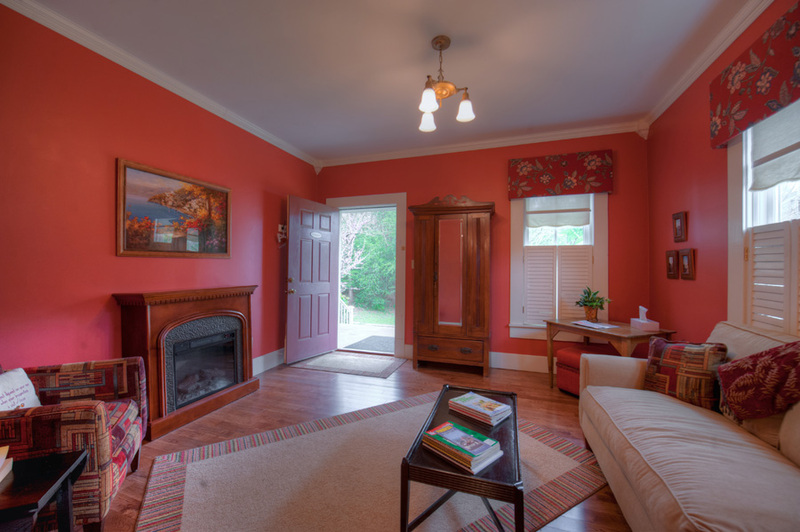 Relax in your private sitting room in front of your own fireplace on a chilly day. 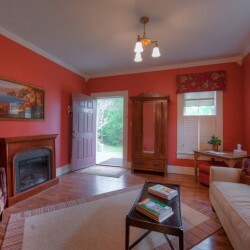 Enjoy the wooded flower park from a rocker on your front porch. 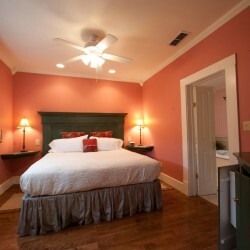 Nap in the king bed. 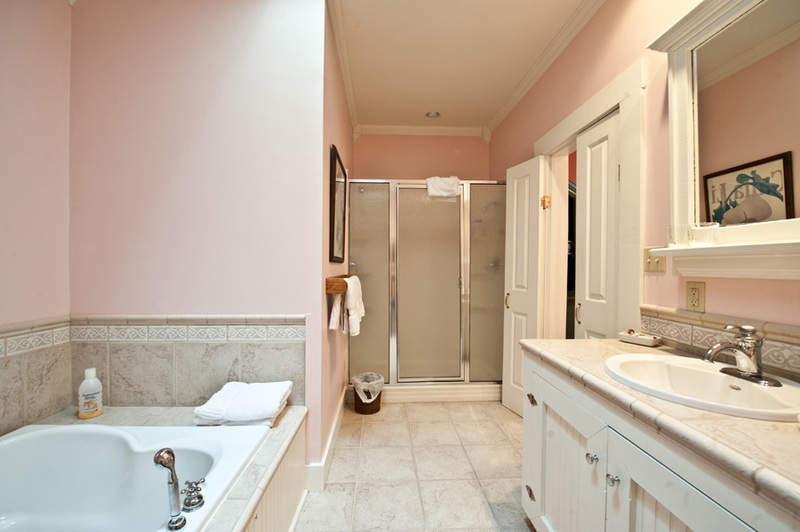 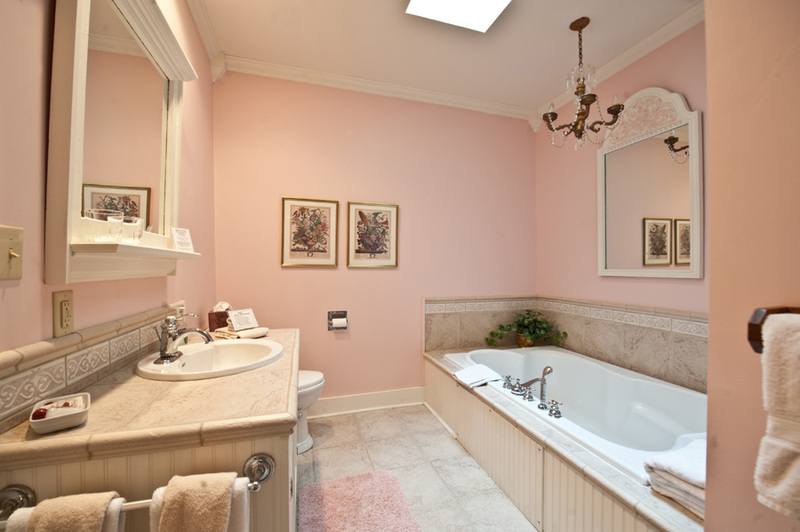 Soak away your cares in the grand tub for two. 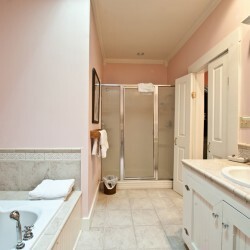 Refresh in the separate romance shower.